CrossFit Quarter Melville (CFQ) opened its doors on January 5th 2013. We are located at Unit 2/78 McCoy Street, Myaree. Now with over 100 members, it is the community at CFQ which makes it an amazing place to train. We have members from as young as 6 years of age (CrossFit Kids) to those more experienced and 60+, all with varied levels of fitness. We train hard but we also love to share a laugh and catch up with new friends. We think of CFQ as more of a sports club feel than a traditional gym. Our community is looking for positive, enthusiastic people who are looking for a new way to train, to improve their current health, challenge themselves and those who aim to become more awesome each day. CrossFit Quarter Melville is owned by Melville resident Bec Petherick. Bec was introduced to CrossFit while living in Melbourne in 2011 and hasn’t looked back since. Being involved in elite sports for most of her life, Bec has been a national level triathlete and raced internationally as a cyclist, as well as playing most sports on offer along the way. Looking for something different, Bec tried CrossFit and within 5 minutes she was hooked….. I remember a few of my friends started CrossFit and were constantly telling me that I would love it. I am super competitive, love a challenge but I had all the usual excuses like ‘I don’t want to get big and bulky’ Plus my background in endurance sports had me laughing at the idea that I would get a good workout within a few minutes. 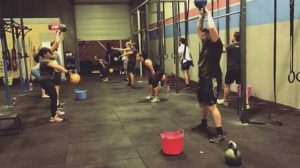 Although as most of us do, I eventually became bored of doing my own thing at a conventional gym and tentatively signed up to a free trial class at CrossFit3000 in South Melbourne. Let’s just say that about 3mins into the trial workout I was in a world of hurt but I also had a slight smirk on my face, as I knew I had found what I had been looking for. 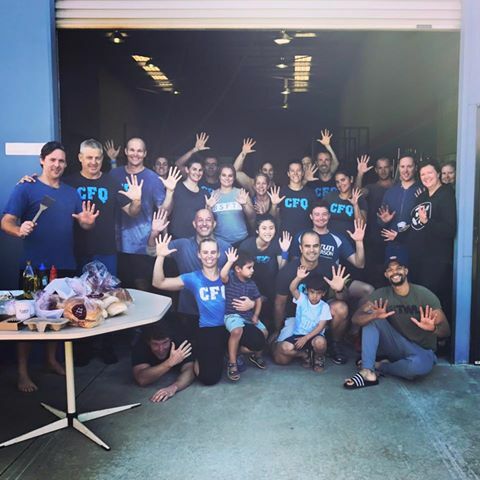 Training at CF3000 (A spectacular crew who I suggest you check out if you are ever in Melbourne) quickly became the highlight of my day and I loved the variety, constant improvements in performance and awesome people I trained with, who soon became my good friends. All of my previous misconceptions about CrossFit diminished as I started to understand the key principles of the program and importance of mechanics over intensity. 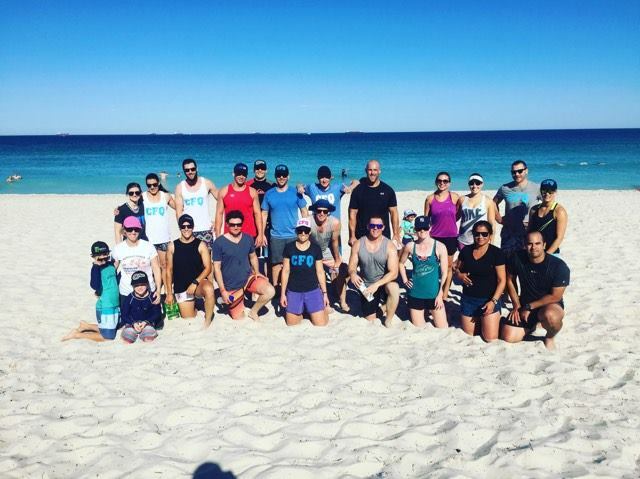 Personal circumstances led to my move back home to Perth where I made the decision to start up my own CrossFit Box (Boxes are what CrossFit gyms are called) so I too could build a community of amazing like-minded people who were looking to train hard, encourage one another and enjoy it along the way. And so CrossFit Quarter Melville was born…..
CrossFit has had such a positive effect on my life and if I can share that with a few others, then I’ll be happy. I welcome everyone to come down and give it a try to see if we can positively impact your life like CrossFit has for me and so many of our members.